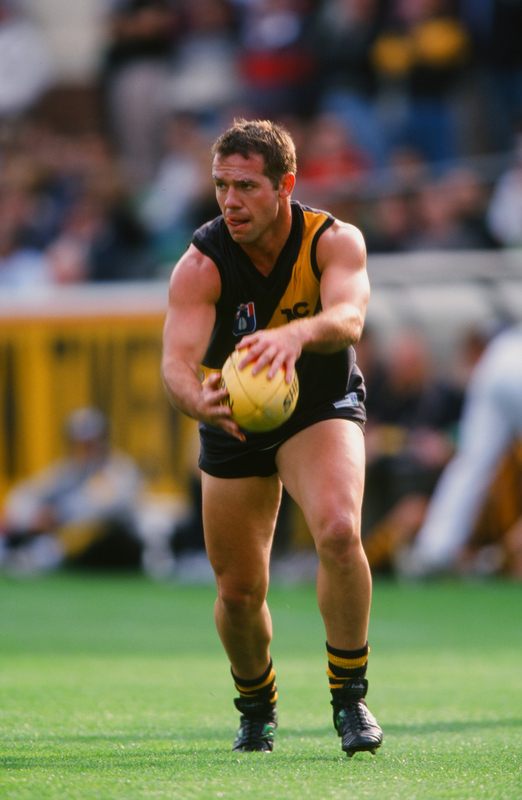 A fast and damaging small forward, Trent Nichols was picked up by Richmond at pick 17 in the 1986 VFL Draft, but didn’t debut until the 1988 season. He finished runner-up in Richmond’s best and fairest competition in his first senior season with the Tigers. He was also the Richmond player with the greatest number of votes in the 1990 Brownlow Medal count. Nichols crossed to West Coast in 1992 but struggled to find a place in the side, managing just four games during his stint in Perth. North Melbourne signed him for the 1994 season and he proved a valuable contributor as the Kangaroos surged towards their golden year in 1996 when they won both senior and reserve AFL titles.